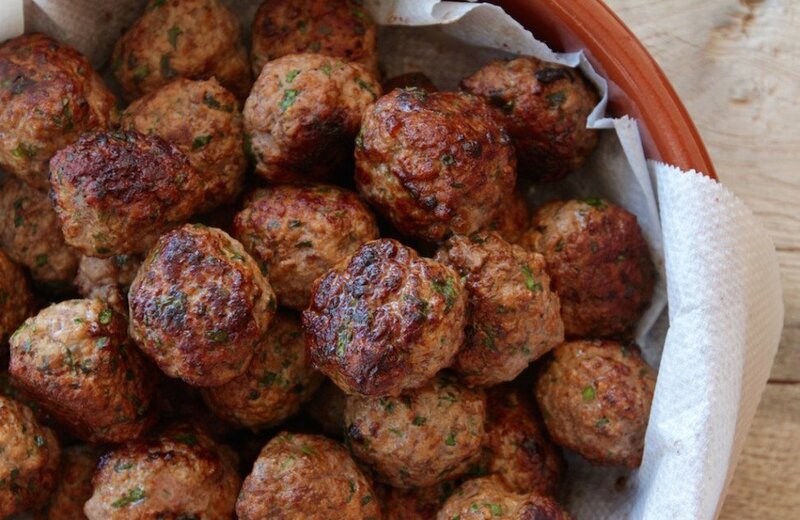 This will make you a big portion of lamb meatballs, enough for 5-6 people. They can be saved in the fridge for sandwiches the next day or you can freeze them for later use. Mix all the ingredients well in a bowl and with a table spoon scoop up even sizes of mixture and make the balls round using your hands. Cook them in a big pan on medium heat with a bit of olive oil.